From the dawn of history, jade dtone has been used by human. Its use was not confine only to ornamental needs, it was used by early humans as one of the elementary implements of his culture. For instance jade was used as tools for hunting, hammering, splitting, and cutting. 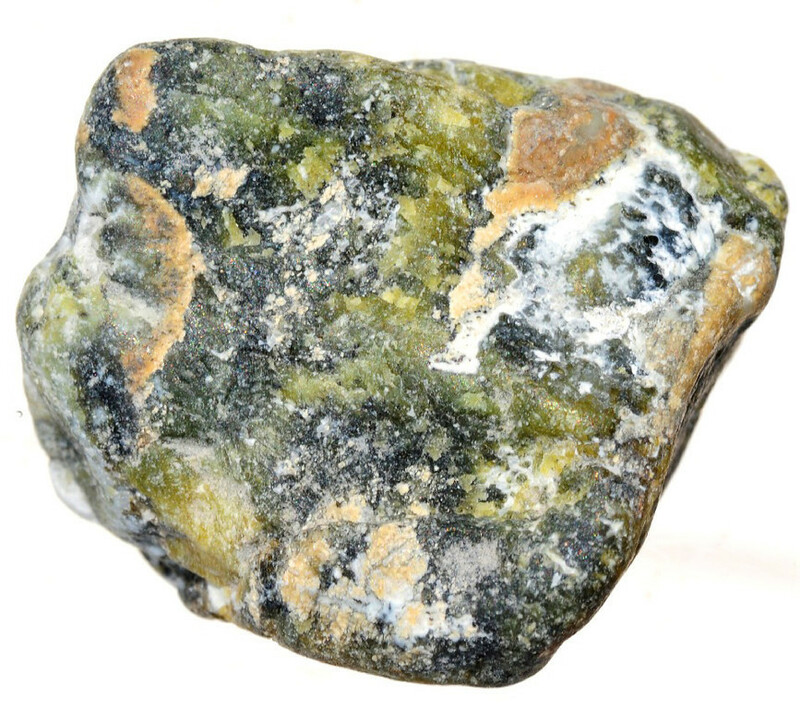 Although jade is not a very hard stone (hardness of 6.5-7 in Moh's scale) it was used as weapon when early humans were struggling for their existence against raw nature, and later became the preferred cult stone for rendering thanks to the gods. 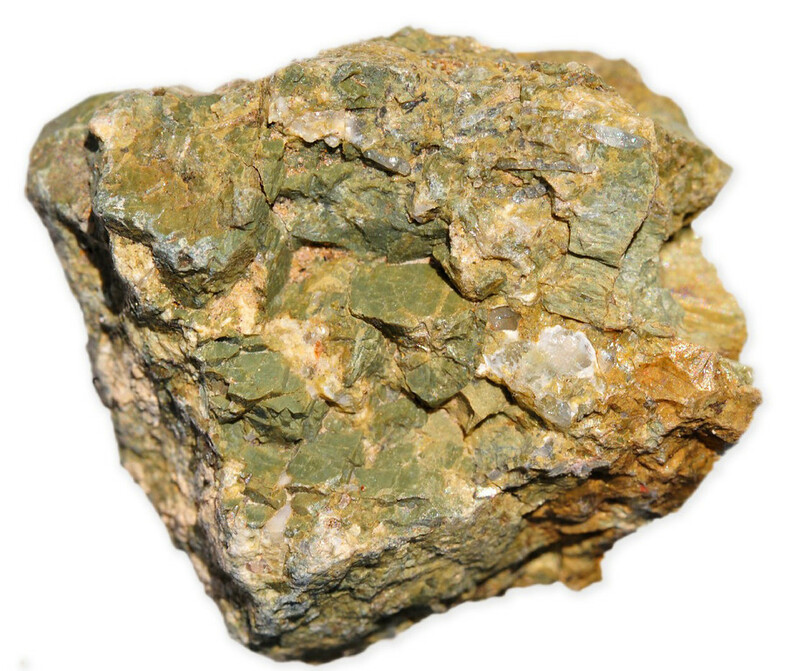 About 1000 BC the ancient Chinese mined a tough mineral that they called yu, (Japanese words Giyuku or Tama) a mineral which today we know as jade. 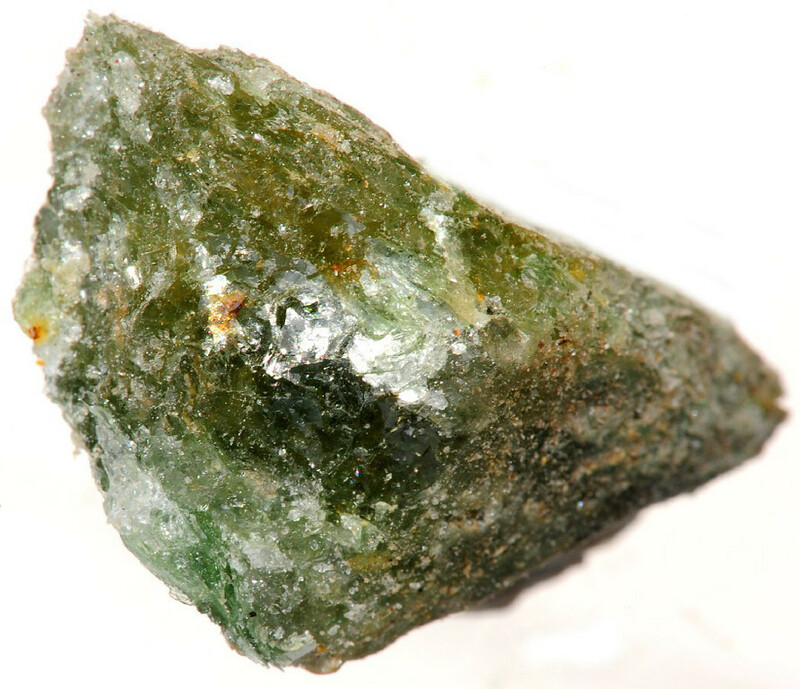 It was only in 1863 that the French mineralogist Damour demonstrated that the name jade was being used for two distinct gemstones, nephrite (calcium magnesium aluminium silicate containing variable amounts of iron) and jadeite (sodium aluminium silicate), which have no relation to one another except that of appearance. In other words, jade is a general term that includes two distinct minerals, nephrite and jadeite, which are very similar in appearance (nephrite is the commoner of the two jades). The distinction between these two is most easily made by the refractive index (jadeite is about 1.66, nephrite about 1.62). Jadeite which is also called Chinese jade is found in Myanmar not China, it entered China after eighteenth century. 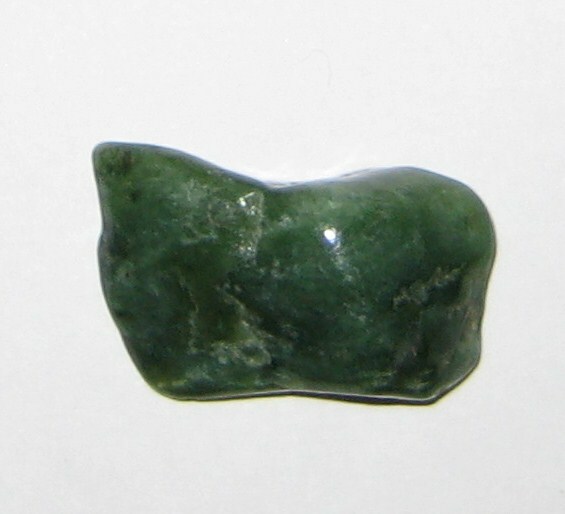 Jadeite, made up of interlocking, granular pyroxene crystals. Jadeite comes in a very large range of colors from white through pale apple green to very dark green (Chloromelanite) but can also be blue-green. The most prized variety, imperial jade, is a rich emerald-green, due to chromium. Jadeite commonly has a dimpled surface when polished. Nephrite is the mineral that was mined in China for the first time. 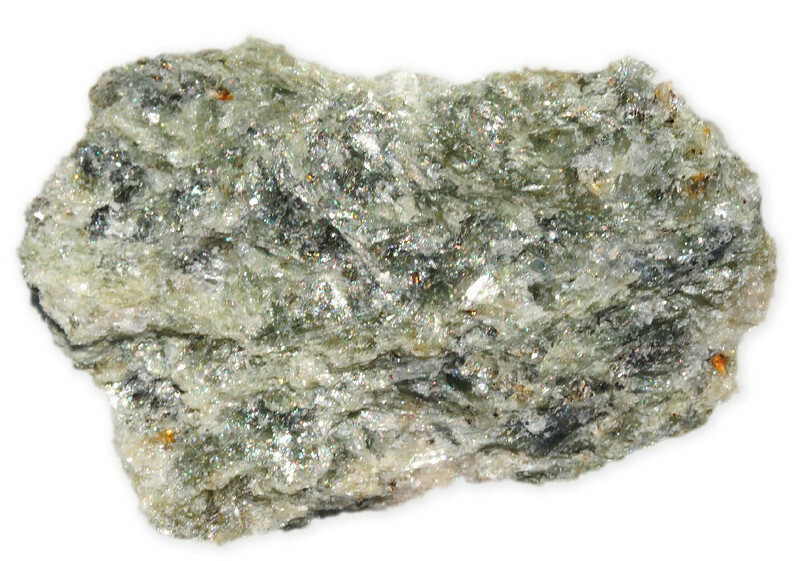 It is found as aggregates of fibrous amphibole crystals. Nephrite has been famous for carving, first for weapons and later for ornaments. Nephrite is generally green to creamy-white, while jadeite is more diverse, varying from white to green, brown, orange or, rarely, lilac. Jade takes its name from the Spanish piedras de ijada, (stone of the loins); this is due to the healing powers for kidney ailments ascribed to jade, doubtless as a result of sympathetic magic because of the kidney or organ shapes of tumbled pebbles. Translated into French this was pierre de l'ejade; a printer's error when the name first appeared in French made it pierre de le jade, which the English people quickly chopped down to simple jade. Nephrite takes its name from the Greek word nephros, meaning kidney; the rounded organ-like shape of nephrite boulders and pebbles undoubtedly stimulated people to regard these stones as magical cures for the organs the resembled. Nephrite gemstone is found in many parts of the world. 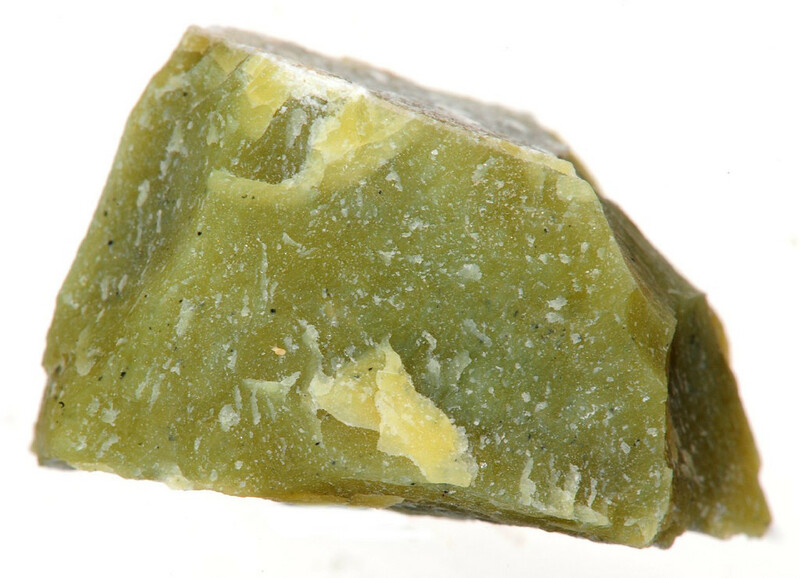 Probably the earliest known and the most important source of nephrite is along the northern slopes of the Kuen Lun Mountains near Khotan in eastern Turkestan. Nephrite is also found in Australia, Brazil, Canada, Germany, Italy, Mexico, Poland, Siberia, Switzerland, Taiwan, USA, and Zimbabwe. Jadeite is found in Guatemala, Turkestan, Myanmar, Japan, and USA (California). You can find our interactive map for gemstone of the world Here. Due to their hardness, jadeite and nephrite have been used since Neolithic times for weapons and tools. Today jades are fashioned mainly as carvings, as beads, or as cabochons, the smaller carved pieces being used for ring stones, brooches or for drop earrings. The value of a jade item is as much a function of the the artistry of the carving or workmanship and the antiquity value as the color and quality of the jade itself. The complexities of evaluation caused by these factors make jade a very specialized gemstone. Shop from our Amazon-powered store Here or shop directly from amazon.com for jade jewellery. Jade is often coated with colorless substances (plastic-type resins) to improve the surface uniformity. It is also sometimes dyed to give a shining color to the gemstone. Sometimes the dyes can fade overtimes therefore it should not be exposed to the sunlight and high temperature. Jade gemstone should not be cleaned by ultrasonic or steam cleaners. Jade-set jewellery should not come into contact with harsh chemicals such as strong household cleaners, as they can damage the wax coating and cause dulling to occur. In early times, jade was used for tools but with the evolution of stronger metals this use decreased and instead jade began to be seen as an amulet. It was believed to be able to heal various sorts of ailments, including kidney stones and stomach pains. This belief of jade’s medicinal properties appears to be widespread, and can be found among the ancient Greeks, native South Americans and Chinese. Jade has occupied a very important position in Chinese history. Confucious wrote of the perfection and virtues of jade, stating that jade is ‘esteemed by all under the sky’. The Chinese believed that their emperor could speak to heaven through jade disks and that it had magical powers. The Chinese further believed that the consumption of powdered jade could relieve asthma, heartburn, promote fertility in women and stop the human body from decomposing after death.